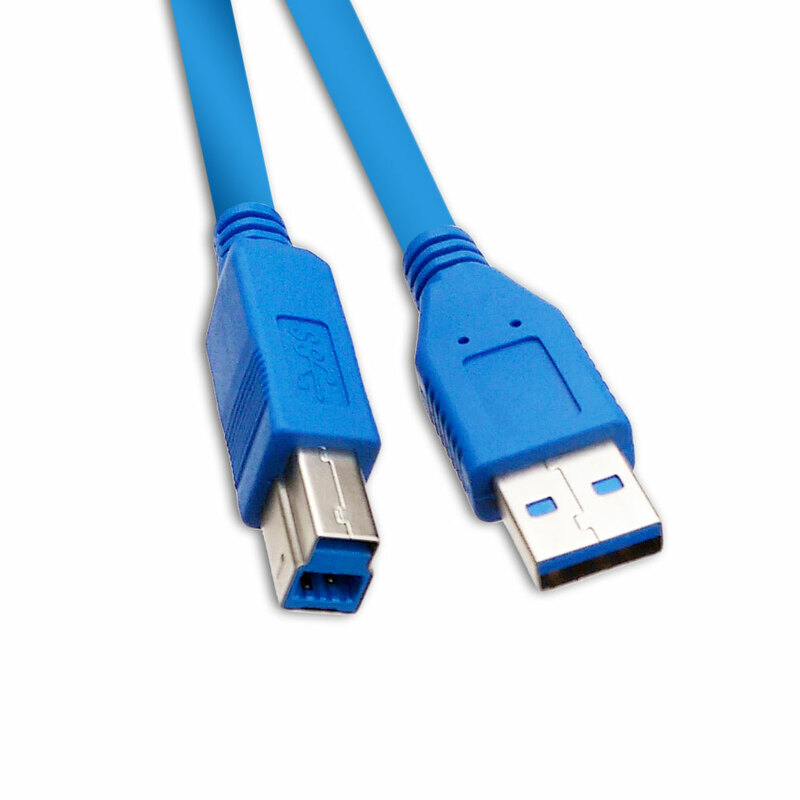 Our blue 1-foot USB 3.0 SuperSpeed printer/device cables offer the next great leap in data transfer speeds for your peripherals. These particular USB 3.0 cables feature a Type A Male (Computer/Tablet/Laptop/Hub side) to Type B Male (device side). This USB SuperSpeed cable enables one to connect a printer, scanner, external hard drive and more to your computer, laptop, netbook or notebook. They work for Windows, Mac, Android, and Linux. This 12" USB 3.0 peripheral cable fills a niche when multiple devices are grouped together to connect to a hub. In my case 3 drives and a BluRay writer.Makes the whole installation neater.